Something to go to at NIGHT! 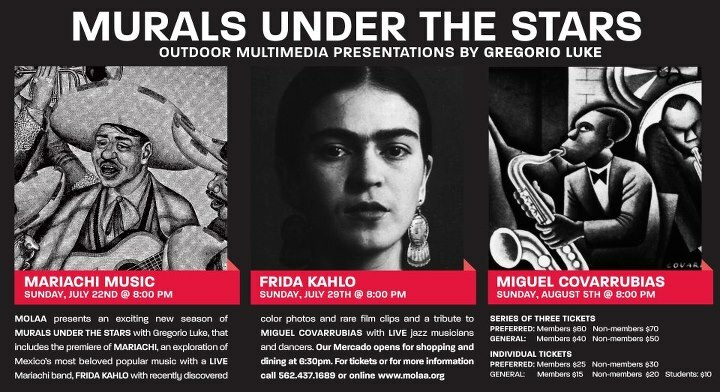 Here is info about the Mural Under The Stars series at MOLAA. The Long Beach Police Department is seeking the public’s help in identifying a suspect wanted in connection with a cat burglary that occurred in the area of 7th Street and Temple Avenue on Friday, July 13, 2012, at approximately 10:30 p.m., and a composite sketch is now available. ewd comments to the victim and then fled the residence. The victim immediately reported the incident to police. The victim described the suspect as a male Hispanic in his 40s, 5’5” to 5’6” tall and weighing 160 to 170 pounds, with black hair, brown eyes and a mustache.